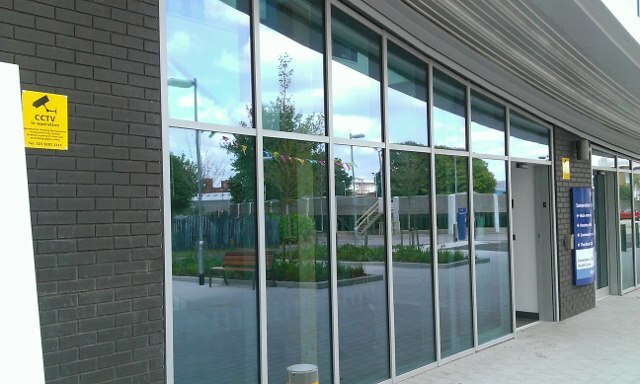 Metal Technology environmentally-friendly curtain walling, window and door systems have been installed on the recently opened Community Hub in Somerstown, Portsmouth. A key part of the regeneration of the Somerstown area, the BAM designed and built Hub is set to become an architectural landmark in the city. The unusual tubular structure spans a main traffic route into Portsmouth city centre and will house Southsea Community Centre, a dance studio, cafe and sports hall as well as an NHS health clinic and a council housing office serving tenants in the south of the city. 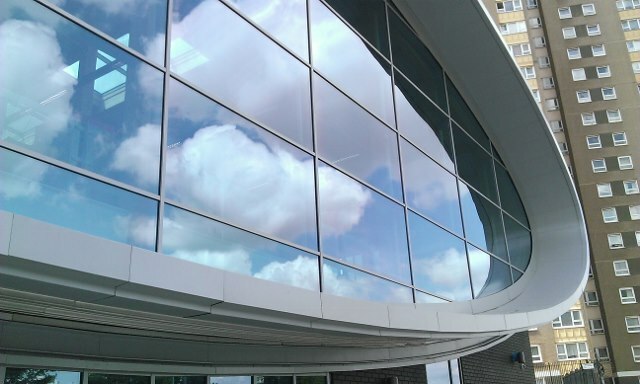 The rugby ball shaped structure makes it a perfect showcase for Metal Technology’s ultra-flexible, aesthetically appropriate System 17 Capped Curtain Walling. This has been used to fully glaze both gable ends of the two storey glue-lam tubular structure. 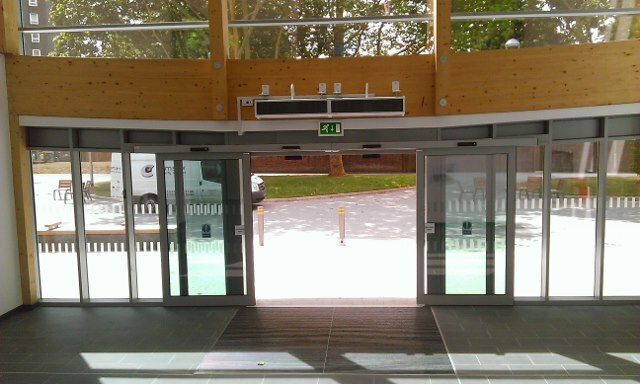 Consistent with the curtain walling systems, Metal Technology System 5-20 Hi+ thermally enhanced tilt and turn windows, rooflights and 5-20D door system were installed, which, with the System 10 Commercial Door combined to contribute to the building’s BREEAM Excellent rating.